A survey by Children’s HealthWatch reveals that enrollment for the Supplemental Nutrition Assistance Program (SNAP) has dropped by roughly 10 percent among legal immigrants who arrived in the U.S. five years ago or sooner. 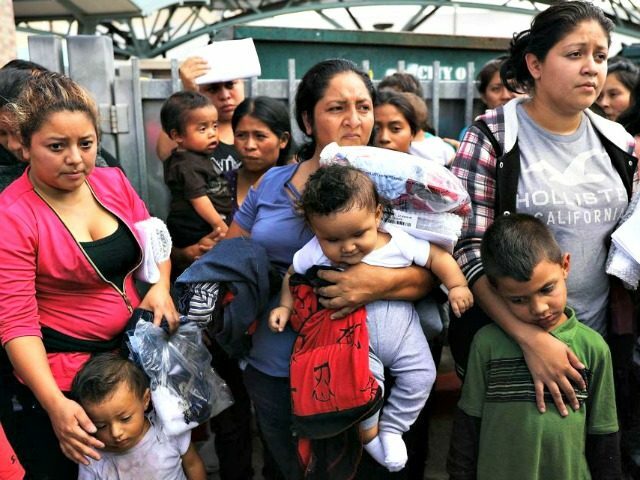 Researchers say foreign-born women with children in the U.S. are taking “extreme caution” before enrolling on food stamps due to a new plan by the Trump administration that is expected to be implemented within the next year. Those upcoming legal immigration controls include protecting American taxpayers’ dollars from funding the mass importation of welfare-dependent foreign nationals by enforcing a “public charge” rule where legal immigrants would be less likely to secure a permanent residency in the U.S. if they have used any forms of welfare in the past, including using Obamacare, food stamps, and public housing. Countries such as Australia have similar rules to prevent mass immigration from poor countries that further burden their poor and working-class citizens. Enforcing the public charge rule will also shift legal immigration to the U.S. away from Central and South America and towards Europe and Japan — a bonus for American workers who will see less competition for their jobs, forcing wages up while economic elite and multinational corporations will have their wealth distribution power reduced. There have been reports in recent months that legal immigrants are unenrolling from food stamps ahead of the implementation of the public charge rule.